Special Deal Reopened - Over 100 Resources! Update March 14, 2018 January 2019: And yes, extended again! There is still work to be done to fight blood cancer! Please visit bit.ly/CAP4TNT19 to take advantage! Update November 2, 2016: Believe it or not, we've already begun for Fall of 2017, so this is open once again! Update Aug 4, 2016 - Yes, this is still going! As promised, the special deal I have offered the past two falls is again available! Well over 200 Over 300 FACS teachers have taken advantage of the deal, from 38 42 states and 3 Canadian provinces. Altogether that's $5,600 $7,810 FACS teachers have raised for blood cancer research, go FACS! Here's your chance if you missed out before! For those of you who donated previously: Thank you again! Please pass this on (I'm hoping to break into California this year, I didn't reach anyone there last year! 8/4/16: As of two days ago, California has jumped into the fight!). On TPT this would cost you a small fortune. For the next few weeks all of this can be yours for... $25. Nope, not a typo! Why? To fight cancer! I will be running in the Chicago Marathon this fall, and I am running with the Leukemia & Lymphoma Society's Team in Training! This is a cause very important to our family, as my husband lost his mother to multiple myeloma when he was still in high school. Visit my fundraising page at bit.ly/CAP4TNT18 and make a $25 dollar donation. Use the word "FACS" somewhere within the message box. Receive the full bundle within 48 hours! You will be helping me to reach my fundraising goal! 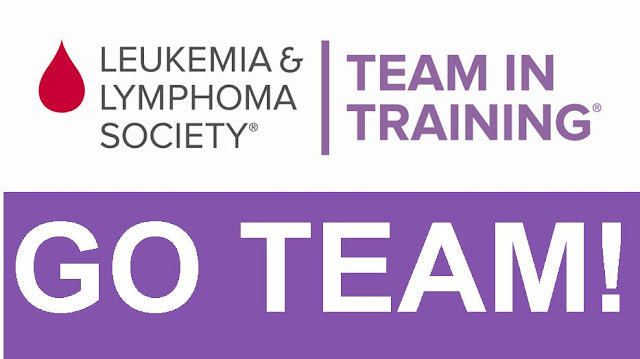 100% of your donation will go to Team in Training! You'll receive a receipt that you can use for a charitable tax deduction (it won't count toward the paltry educator expenses limit!)! You will be fighting cancer! Donations to blood cancer research means more lives saved! Visit bit.ly/CAP4TNT18 today, and thank you so much for helping in the fight against blood cancer!